Author(s) Kutcher, Stan; Wei, Yifeng; Weist, Mark D.
The realisation that most mental disorders have their onset before the age of twenty-five has focused psychiatric research towards adolescent mental health. 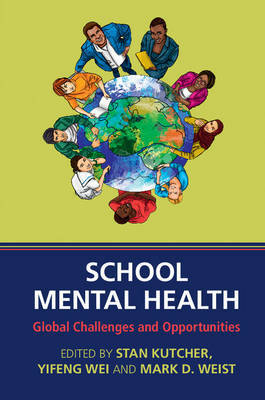 This book provides vivid examples of school mental health innovations from eighteen countries, addressing mental health promotion and interventions. These initiatives and innovations enable readers from different regions and disciplines to apply strategies to help students achieve and maintain mental health, enhance their learning outcomes and access services, worldwide. Through case studies of existing programs, such as the integrated system of care approach in the USA, the school-based pathway to care framework in Canada, the therapeutic school consultation approach in Turkey and the REACH model in Singapore, it highlights challenges and solutions to building initiatives, even when resources are scarce. This will be essential reading for educators, health providers, policy makers, researchers and other stakeholders engaged in helping students achieve mental health and enhance their learning outcomes.